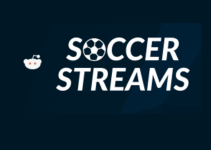 The NHL season is quickly approaching and with it comes thousands of users looking for options to watch hockeystreams from some of their favorite teams. Today we’re going to show you how you can install and use the official NHL.TV (or Rogers GameCentre if you’re in Canada) premium subscription to get up and running with the best option for hockey streaming in Kodi. Updated in 2017, we’ve added support for Kodi 17 as well as provided a much simpler solution with the addition of NHL.TV being added to the official repository of Kodi. First things first. As Kodi nears completion of release of version 17 we’ve decided to update all of our tutorials to use the latest version. Normally this wouldn’t be an issue but version 17 will bring an overhaul and change to the default theme once installed so if you’re still using version 16, we will do our best to guide you through both options but if you have the ability to update to version 17 when it’s released we highly urge you to do so as it will make following our tutorials that much easier. A subscription. As this is a premium option you’ll need to spend some money on it. There is little doubt it’s the most reliable option on the market as it’s provided by the NHL. Similar to our MLB.TV tutorial this follows the same principle and there a few things you should be aware of before purchasing. First, if you live in your favorite teams market (for example a Blackhawks fan living in Chicago) there’s a good chance games will be blacked out in favor of you supporting the local TV market. 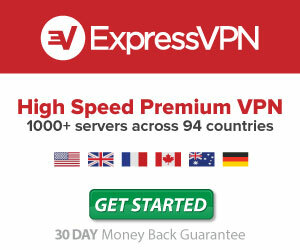 Currently the only way around this is to purchase a VPN, like Private Internet Access, and give the appearance that you’re outside of the local region. Sure, it’s an inconvenience but it’s recommended to use a VPN with everything you do online. Eracknaphobia’s Repository. Access to the Kodi Repository. Kodi box with Kodi 17 (or 16) installed. Self explanatory and if you’re visiting this page you should already have this up and running. Now that we’ve gone over the requirements let’s get moving on installing the add-on. Simply follow these steps or watch the video above. If you’re looking for instructions for Kodi 16 or below, watch the video above as we show how to install NHL.TV on both Kodi 16 and 17. 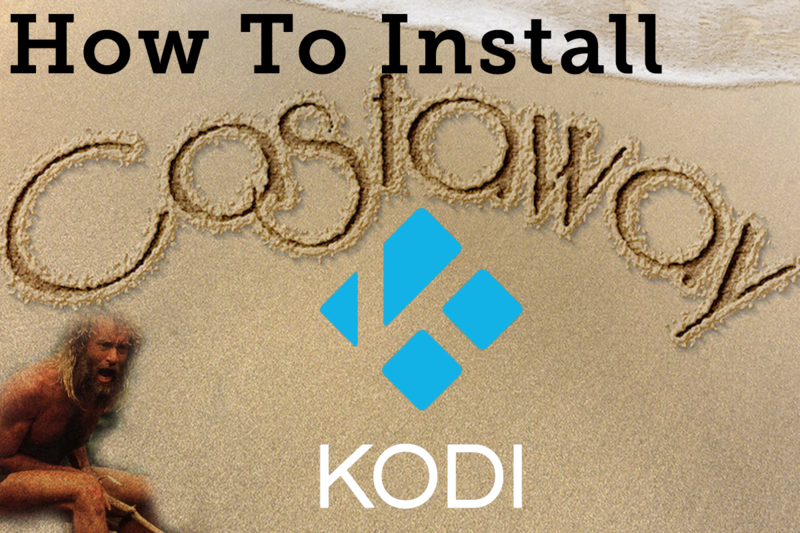 Our video guide is the easiest and most update method to install NHL.TV into Kodi. To get started simply navigate to the addons section on your home screen and scroll over and up to visit “Install From Repository”. 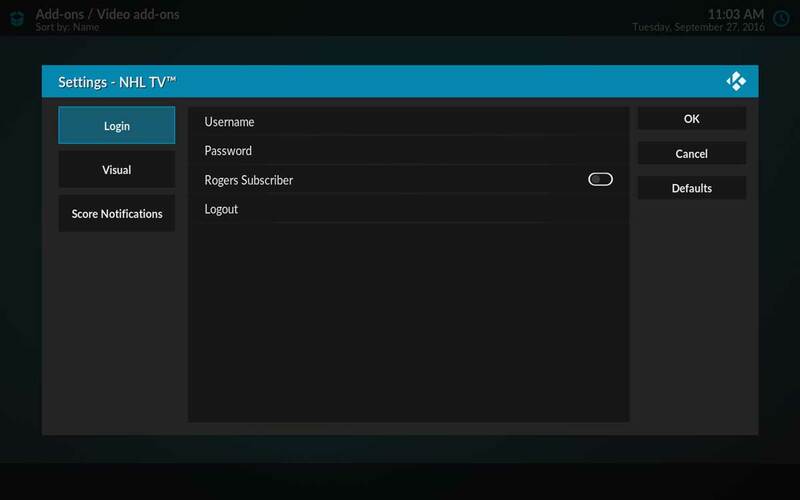 Find the Kodi Add-on repository and hit enter. Highlight and select “Video Add-Ons”. Hit enter, choose Install and then once complete choose Configure and enter in your username and password. There are other options here you can play around with like favorite team, whether or not you want the score displayed etc. Once you select configure ou should be greeted with a similar screen below. All you have to do is browse the options and enter in your information. If you’re outside of Canada you won’t need to worry about the “Rogers Subscriber” option but if you are in Canada you’ll need to select and move the toggle to the right. 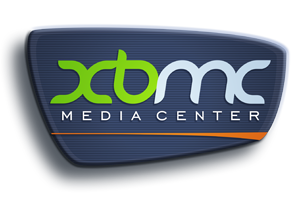 Congratulations, you should now have a fully capable Kodi box that can play the latest hockeystreams from the NHL in Kodi. The NHL.TV add-on comes equipped with some extra features you can play around with, like disabling the score if you watch the game late and don’t want to ruin the result. If you’re suffering from local blackouts don’t forget to check into a VPN like Private Internet Access so it can spoof your location to make it appear that you’re out of market. If you’re unfamiliar with VPN’s altogether be sure to check out our post surrounding the best VPN’s for Kodi as it will give you a brief run down as to what they are and how they benefit you. Of course if you have any problems installing or don’t fully understand everything don’t hesitate to drop us a comment below and we’ll answer your question as soon as possible.